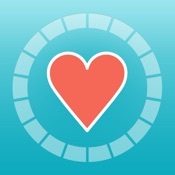 HeartStar is the easiest app for monitoring blood pressure. With optional sharing and reminders, Health app support, and custom goals, there's no better way to stay on top of your blood pressure. • Automatically record blood pressure from compatible Bluetooth Smart blood pressure meters including A&D, Oregon Scientific, HoMedics, Samico, Pyle. • Manually enter readings from any blood pressure monitor — no Bluetooth required. • Add notes to help you remember what you were doing at the time. • Note: the HeartStar app does not itself measure blood pressure — a separate blood pressure monitor is required — no app can accurately measure your blood pressure without a blood pressure cuff. • Create reminders to help you remember to measure your blood pressure on a regular basis. • Get immediate, personalized feedback on your readings and progress. • Collect HeartStar points! When you record a new measurement, you will be rewarded with points based on how that measurement helps you reach your goals. HeartStar points give you a new way to measure your overall progress. A steady increase in points means you're consistently recording your blood pressure and making good progress toward your goals. Challenge yourself to reach the next level! • Visualize patterns in your blood pressure history to help you understand your activity patterns. • Share your history and reports with your family or physician: HeartStar makes it easy to communicate your results to the people you want. Plus, download your history so you always have a copy on hand. • Use HeartStar with the whole family — it's easy to add new users and switch between users. • Help and customer support built into the app — just tap the Info button — we're here for you and love hearing from you.